IT IS NO wonder that Paramount Pictures are interested in making a film on the life of Manny Ellul. The Brassall resident's life story contains more drama, heartache, courage and elation than most people would experience in a thousand lifetimes. His tale involves allegations of being kidnapped from Malta by the Catholic Church as a 14-year-old, then trafficked to Australia where he worked for the Congregation of Christian Brothers in Western Australia under child slave labour conditions, and where he was sexually and physically abused. 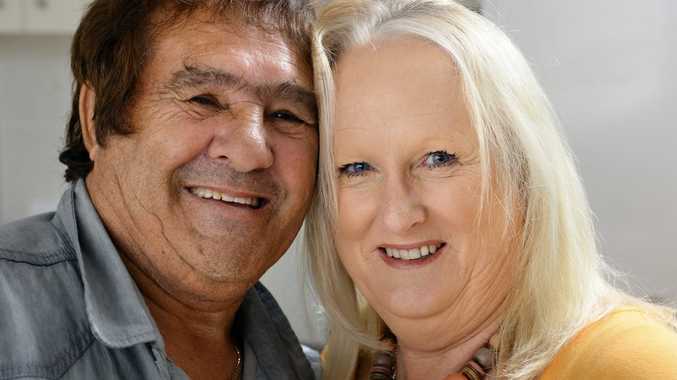 He had a son in 1968, Christopher, who was put up for adoption while he was away on a crayfish boat and who he was reunited with weeks ago after 47 years, thanks to a program on adoption on Channel Seven. Manny also has been reunited with his late mother after 35 years, and with his brothers. Take a deep breath and strap yourself in for an extraordinary story. Manny was born in 1946 in Malta. His parents had been married before and had six children between them, but both their partners had died. They married and had eight more children, with Manny one of them. "So there were 14 of us, but the other six were grown up and had moved on," Manny recalls. "Around about 1956 the Catholic Church was taking children from parents and putting them in institutions, saying they were helping the kids. "But what they were doing was trafficking children and sending them to Australia. "Myself and my three other brothers were taken and put in an institution." Manny says he would run away from the institution in Malta regularly during the week before seeing his parents on weekends. One day in 1960 he was grabbed from his aunt's house by a priest and along with his brothers Ray, 10, Michael, 11, and Peter, 16, placed on a ship called the Flaminia bound for Australia. "Before they took us, three police officers handcuffed my father and took him away. My mother came to the dockyard and I could see her crying from the top of the ship," Manny says. "We didn't even get to say goodbye. "We did about 28 days on the boat and we were escorted by a priest and another guy. "When we got to Australia we were taken to Fremantle and they put us in a big shed where a man and a woman took us to Castledare, an institution run by the Catholics. "Next day they transferred us to Tardun, about a six-hour drive away, which is an agricultural farm where they had 200,000 acres. "My youngest brother stayed in Castledare for eight weeks before they transferred him to Tardun. HARD LIFE: The character lines in Manny Ellul’s face speak of his trials and tribulations. Now Paramount Pictures want to make a film on him. "My real name in Malta is Leli and my dad said to me before I left to look after my brothers because I was the most aggressive of them all and they were very quiet. "My father cared about his family, so he put the job onto me. "I did about three weeks of schooling and was put to work in Tardun with around 60 others. "They introduced me to the dairy and I'd go and milk the cows by hand. "Then they brought the machines in… and we had to put the milk in 10 gallon urns. Two of us had to lift them and put them in the back of a ute. "We had to crush oats to feed the cows with. "Then they introduced me to the piggery. I chopped wood, did boiler work and all kinds of farm work. "We were told what to do by the Congregation of Christian Brothers and we did it. "Not one working boy got paid. It was slave labour." Manny was at Tardun until he was 17 and copped floggings and says he was "sexually abused by the Brothers and the older kids". He told the QT of one instance of being abused by a notorious sexual abuser along with two other children. "We couldn't speak English and I did confess to a Maltese priest about what happened, and he told the Brother that abused me and I copped a flogging," he says. When he left the Tardun institution Manny said the Brothers got him a job on a farm where he worked for 12 months without pay. He then left when he was 18 and moved to Geraldton where he secured a job on a 40 foot crayfish boat. He met a girl named Ivy Wood and lived with her parents for 18 months where he continued in the crayfish trade and was away for months on end. His partner fell pregnant and the couple had a pact that if it was a boy they would call him Christopher John. "I went away on the boat and when I came back she had disappeared," Manny says. "She had the baby at a nunnery in Subiaco, six and a half hours drive away. Someone took her there, and in those days the Catholics would take the children off unmarried mothers. "The baby was taken and put up for adoption and his name was changed. I never saw Ivy again but I looked for her and wanted answers." Manny worked on a farm, in the mines and abattoirs, and for the electricity board. He married and had four children, divorced, and had five more children with his second wife. Manny then met current wife Lyn and they married in 2006. He always thought about his lost son, but the chances of ever finding him became more remote as the years ticked by. LOST SON FOUND: Manny Ellul discovered his son Christopher (with beard) after 47 years of searching. 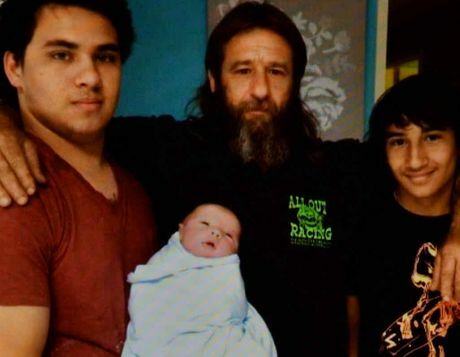 Christopher, who lives in Perth, is pictured with his two sons and grandson. "My wife and I were sitting on the couch watching Sunday Night on Channel Seven and they had a program on adoption," he beams. "They put an adoption site up and I said to my wife, 'Why don't we have a look and see if we can find Chris'. "It only took her a couple of seconds and he was on the site under the name of Christopher John Wood, looking for his mum. "He'd left his number so I phoned him and said, 'I know your mother', because he had mentioned on the site that she was in Geraldton and the year he was born was 1968." Christopher sent Manny his photo by text and when he saw it he was gobsmacked. "I said, 'Oh…my…God. It is me all over'. "I was speechless. I went numb." Lyn was also emotional due to her own involvement in helping Manny with his search. "Chris is the splitting image of Manny, with a beard. Manny cried and I cried," she says. "I've been looking for years for him. I've even applied overseas to look for him on sites." Manny's son had been told he was adopted when he was 10. "He told me that he ran wild and got himself in a bit of trouble," Manny says. "But now he has three children and two grandkids." Christopher is trying to get some funds together to fly to Brisbane from Perth to meet Manny for the first time. He only lives a few kilometres from Manny's brother Ray. Manny and Lyn are also both now trying to contact Ivy for Christopher's sake. Manny incredibly reunited with his mother 20 years ago after buying a book on the Ellul family. He didn't think she was still alive. 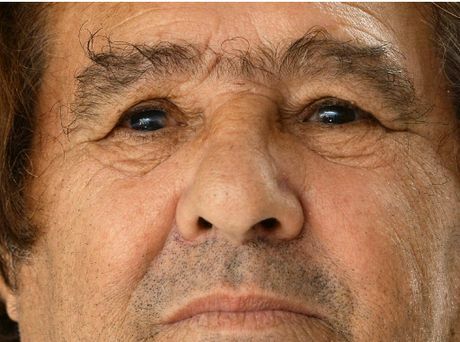 "I was told my mother and my father were dead, and they were told the ship went down and we all drowned," Manny says. "But I did get to see my mother again in 1995. "I bought a book on the family tree of the Elluls and I found the only guy in England with the name Nazzareno (Reni) Ellul in England, and I got my ex-wife to write to him and explain who I was and who my mother and siblings were. "He sent me a letter back with his number saying, 'I am your brother'. I phoned him and there were lots of tears." 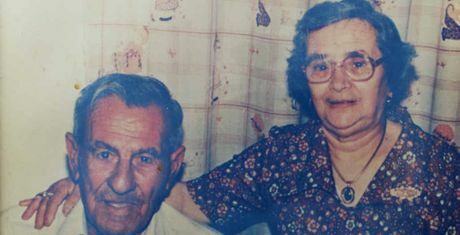 Manny, who reunited with Nazzareno in England in a story that was covered by a local newspaper, discovered that his father had passed away in 1989 but his mum was still living in Malta. "So I went to see my mum in a nursing home in Malta, but I kept it a secret," he says. PROUD PARENTS: The late Nazzareth and Concetta Ellul thought their son Manny and three of his brothers had died on the way to Australia in 1960. Manny reunited with his mum in Malta in 1995 with tears of joy. "My mother is a very religious person and she was with her rosary beads. I walked through this corridor where all the old ladies were sitting in the sun. "She stood up and said, 'There is my son Leli'. She recognised me straight away and I broke down in tears. "She said to me, 'I used to write to you all the time, then they told us you were dead'. A priest told her. I went to see her again in 1997 and she had diabetic sores on her legs and I put all the ointment on her legs. "I said 'I will come and see you again soon' but she said 'I won't be here', and she passed away in 1998. Manny's sister Maria was only six months old when he left Malta and he also got to see her. The injustice of his life story, and that of many others, has seen Manny fighting a class action case against the Congregation of Christian Brothers in the United States with allegations of human trafficking and child slave labour by the order in Australia. The case ran from 2009 to December last year and is famous in the US and known as 'the Ellul case'. But due to a legal precedent in the US it was thrown out recently after a long and bitter battle because the Congregation of Christian Brothers argued that they never existed in Australia or ran institutions, and therefore had never done anything wrong. Manny's lawyer Adrian Joel says the Royal Commission into Institutional Child Sexual Abuse knows about this but to date have kept such claims secret. Getting the Congregation of Christian Brothers to take responsibility for what happened to Manny has hit many brick walls. "I confirm that I lodged a serious formal complaint with the Australian Federal Police about the evidence given by the Congregation of the Christian Brothers and the evidence allegedly suppressed by the Royal Commission," Mr Joel says. "The AFP informed me that seeing the Congregation of the Christian Brothers appeared to be telling the truth in Australia - even though it was the opposite of what they said in a New York Court - the Royal Commission was only interested in this version of events and would not consider any other." Manny, whose story has received interest from Paramount Pictures with the view to making a film about it, will continue his fight against the Congregation. "I am angry for myself and angry for thousands of other victims," he says. "What they did stuffed up my family. "I want to see justice for everybody, but I don't think the system has changed." 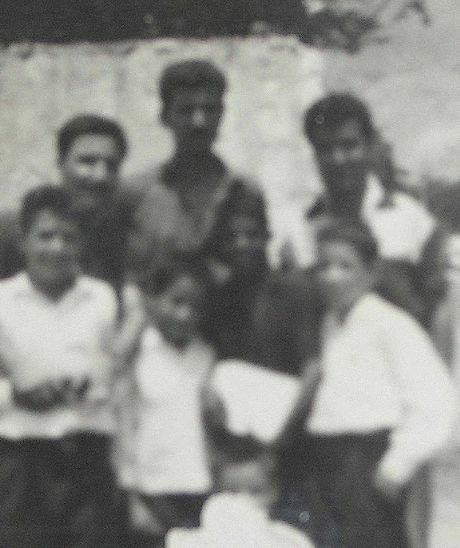 Manny Ellul (far left) with his brothers in Aden after being trafficked from Malta to Australia .